i'm going to be totally honest. neither heather or i used cloth diapers with our kids. 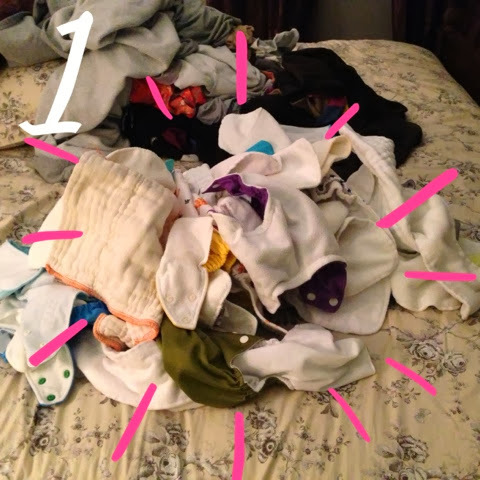 the idea of cloth diapering seemed completely overwhelming and, let's face it, i just couldn't handle one more load of laundry. now as i look back and i have one last baby to get through the diapering process, i wonder if i could have done it all along. i will never know but, luckily, i have some good friends who are cloth diaper gurus and can share their knowledge of this cloth diaper mystery. my sweet friend, esther, took the time to share all of her cloth diapering knowledge with us today. 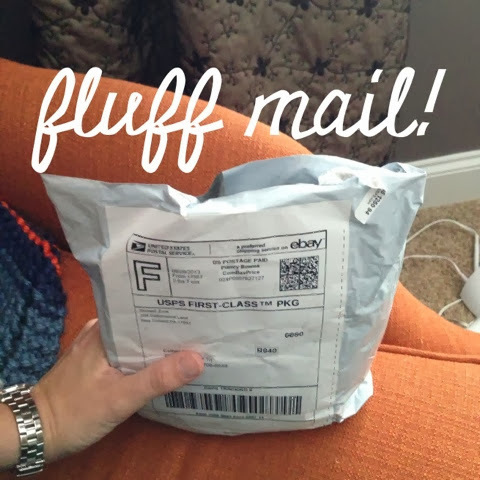 from all of us stunned by the unknowns of cloth diapering, we say, "thank you." 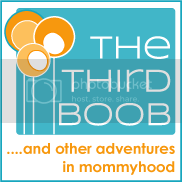 you can find a ton of great, practical information through blogs, forums, in stores, and from vendors on everything cloth diaper related. from types, styles, sizes, detergents, discounts... you name it. it can be a little overwhelming! 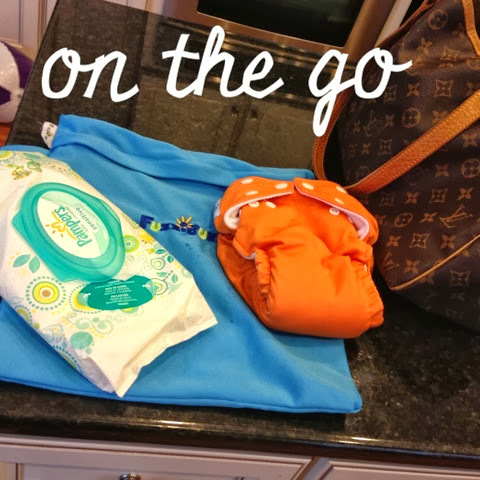 so - i hope to help those of you considering cloth - whether you're expecting, in the middle of diapering a newborn, or are just curious to get an idea of what this is all about, by unpacking my initial question when I first heard about cloth diapering. 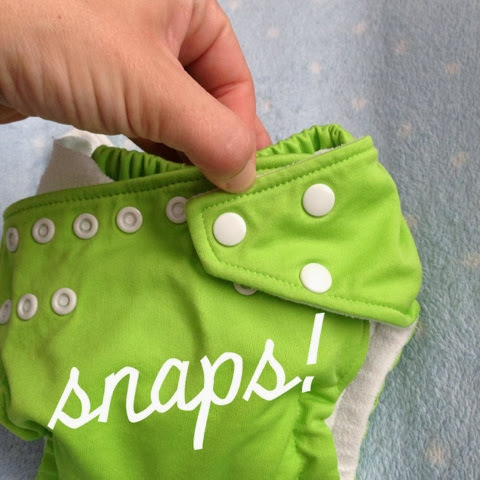 how does cloth diapering work? i mean, we all have changed a diaper at some point and understand what the "system" is. 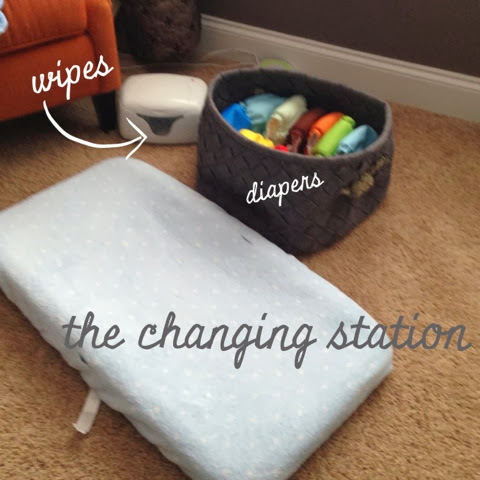 buy a pack of diapers at the store that go in your changer/diaper bag, you put a new one on, and take the old one off and put it in a diaper genie or trashcan. 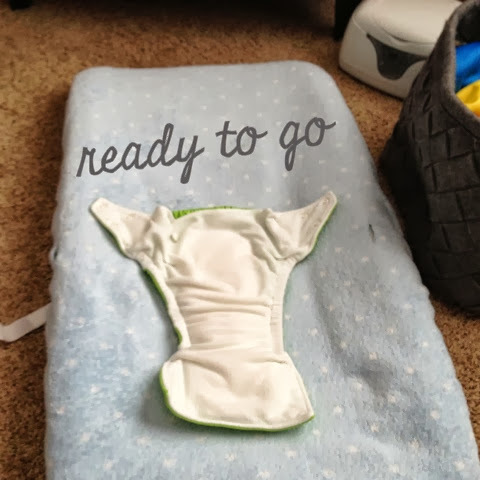 but when my husband mentioned the idea of using cloth diapers to me when we were expecting our first baby, i thought - how does that even work? i can't even guess what that system/process would look like. so! If you're wondering the same thing i was wondering - i will demystify it all by walking you through my system in pictures. i buy my cloth diapers at a variety of locations. this is where it all goes down at my house. on the floor :). but this looks pretty much the same as any other way you'd change a diaper, right? i prefer cloth diapers that snap - but I also have velcro fastened ones (also called aplix). a velcro cloth diaper fastens in exactly the same way as a disposable diaper. 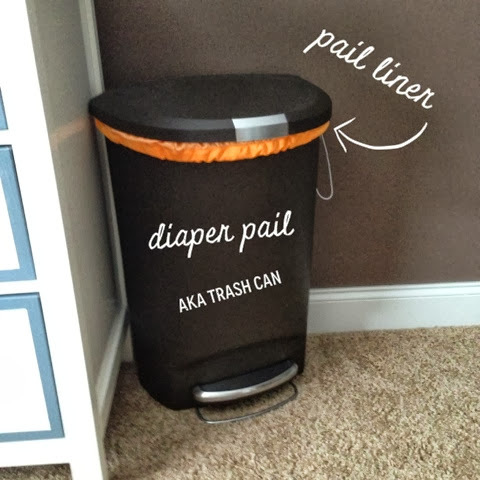 dirty diapers go in a diaper pail (mine is literally a trash can) with a pail liner, or a wet bag which is a laundry bag that has water proofing. 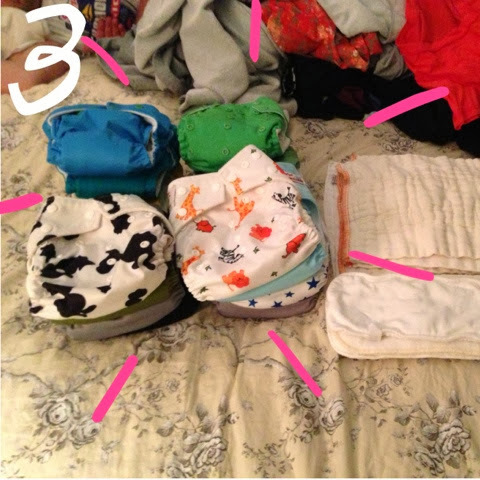 if you use pocket-style cloth diapers (as shown in my pictures), you need to pull out the inserts before dropping the dirty diaper in the pail or bag. nothing..if you have an exclusively breastfed baby. breast milk poo is completely water soluble and rinses out in the wash, so you can just put a poopy diaper directly into the pail. if that grosses you out - think about what you would do if (when!) you've had a blow out in a disposable. do you just wash your child's clothes? or did you rinse first? you can do whichever you'd prefer! dump - if you have a toddler who has been on solids for a while, you can simply dump the poo in the toilet, and toss the diaper in the wet bag/pail. The small amount of residue cleans off in the wash without any problems. i have used my sprayer only a handful of times in the last 19 months - so this is by no means a regular part of my routine. this is pretty much the same as doing any other load of laundry. 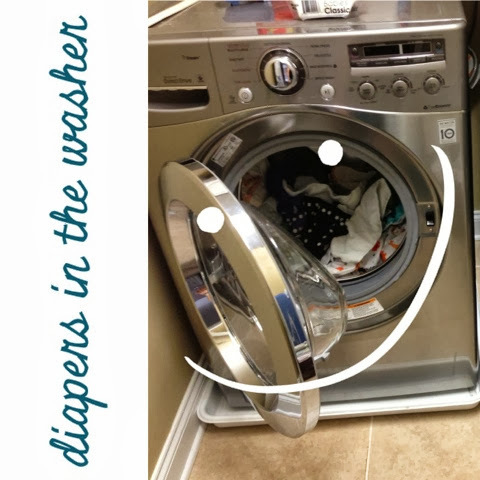 shake/dump the bag out in your washer, tossing the bag in the wash also. 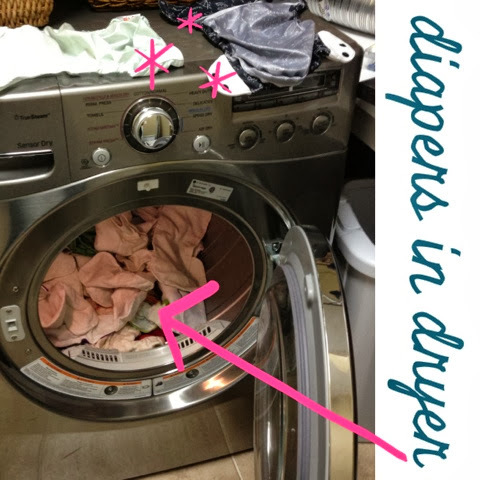 wash with diaper safe detergent (i use "rockin green") and then dry on medium heat in the dryer (*i let my pail liners, wet bags, and some covers air dry, as shown). my wash routine on my HE front loader: 3 tablespoons of "rockin green classic rock, with the following settings: bulky load, pre rinse, hot water, heavy soil, water plus and/or extra rinse. this is the part most people love to hate. "i already do enough laundry!" you say, "why would i want another load to fold?" 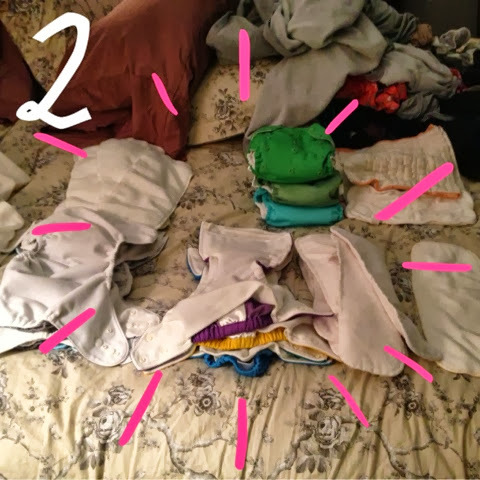 it's really as easy as 1, 2, 3 - dump your load, sort, and stuff (if you use pockets, as i do). guess how long it took me to do 1, 2, 3? 8 minutes, total elapsed time. including taking the pictures for this post. there you have it. cloth diapering. not as strange as you'd think! what about cloth diapers is mysterious to you?